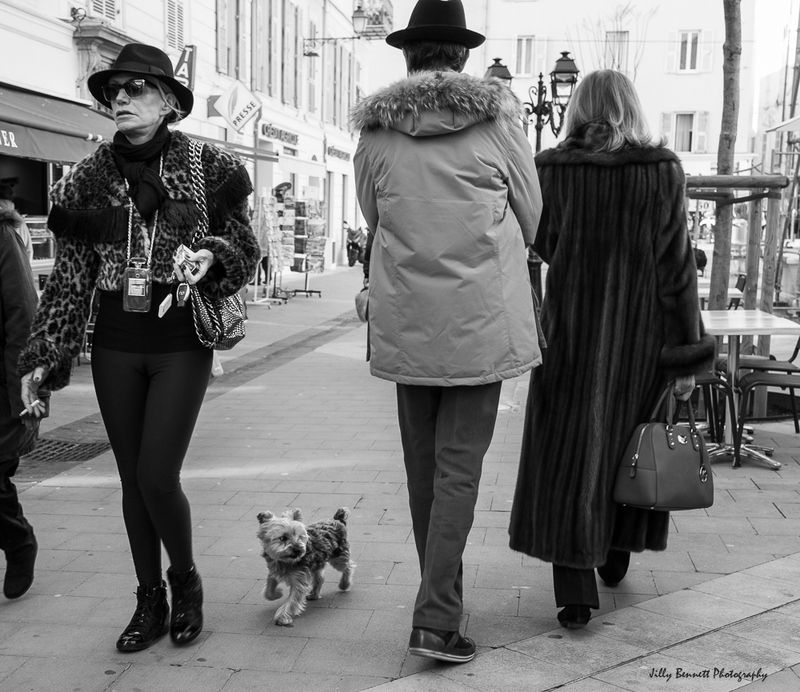 Looks like there is a lot of fur walking around Menton this winter, and not just on the dog! On dirait qu'il y a beaucoup de fourrure qui se promène à Menton cet hiver et pas seulement sur le chien! Is she wearing a bottle of real Chanel around her neck? Could be dangerous in more ways than one! The dog seems more interested elsewhere. Over here real fur is very much disfavored, though often people rich enough to wear the best furs just don't care what people think about them.